We’re BACK!!! 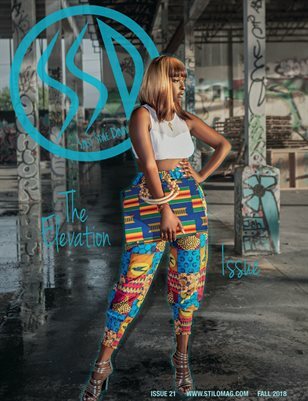 This month, October 2018, we re-introduce Stilo Style Diary’s Fall 2018 “The Elevation Issue” to the world. After over a three-year break, we return with more coverage on FASHION, BEAUTY & BEYOND. On the front Cover, is the model, Adoch in a cover shoot by photographer Joe Wesley, for SSD done in August in artistic city of Wynwood in Miami, Florida. In this issue you will also find coverage on New York Fashion Week, a special tribute to Fenty Beauty, The latest trends this season and much more. Follow us on Instagram for your special promo code to get special VIP access to this issue.